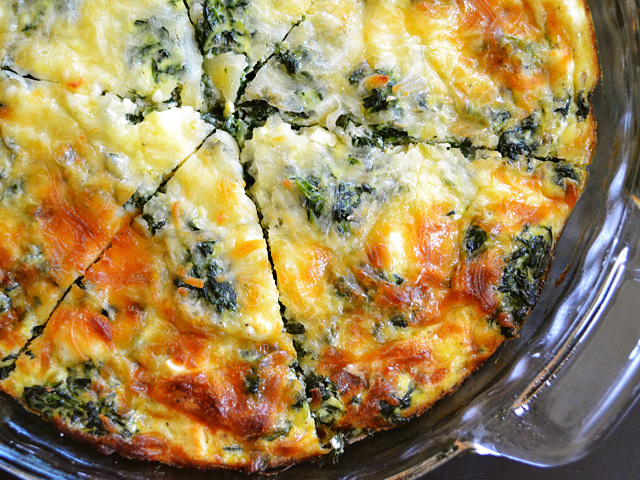 Quiche is a family favorite and without the crust - it is much healthier. Coat a 9-inch pie dish with non-stick spray. Place the spinach in the bottom of the pie dish. Place the sautéed mushrooms on top of the spinach, followed by the crumbled feta.